Clean Cut Lawn Service & Snow Plowing Ltd. is owned and operated by Mike Scrocco. 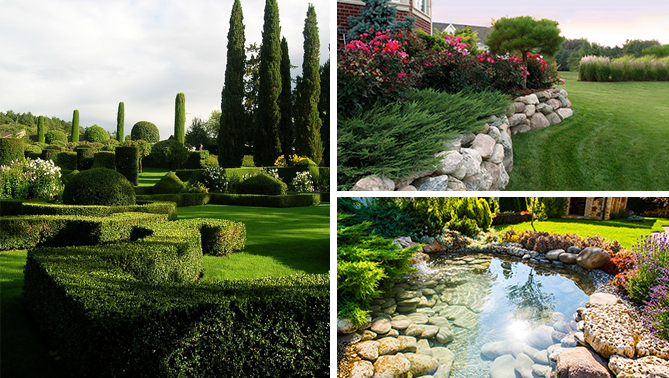 Mike’s career in landscape began in 1994. His commitment to putting his clients first and exceeding their expectations has always been his primary principle. Mike is joined by his wife, Iolanda who runs the office; and together they have formed a dynamic team of professionals who share their uncompromising professionalism and integrity. There is no substitute for a good landscaper. Mike’s passion for landscape and landscape construction is a refreshing change for his clients. He is extremely personable and cheerfully enthusiastic as well as highly professional. His warm personality becomes evident in his natural ability to make clients feel comfortable and his genuine interest in this competitive industry. Mike attributes much of his success to the support and dedication of his team of dedicated professionals that strive to provide “Superior Service with Quality Results”. Mike’s passion for landscape and construction and strong work ethic is evident as he, together with this team, goes that extra mile to deliver a positive client experience. His vast knowledge, creativity, experience, persistent nature and attention to detail allow him to exceed all of his clients’ needs. A promise of Quality, Integrity and Commitment is what every client can expect. Satisfied clients are our highest value achievement. We are a team of professionals whom are knowledgeable, experienced and fully committed to providing Superior Service with Quality Results; Dedicating ourselves to details, embracing new technologies and providing highly personalized service. We aim to exceed the expectations of every one of our clients by providing Superior Service with Quality Results thereby earning their loyalty. We are a firm believer in giving back to the community by enthusiastically participating in fundraising activities and involvement in many worthwhile causes that result in significant contributions to the overall quality of life of our neighbors, colleagues and friends.